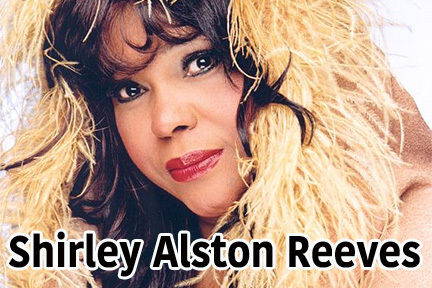 1996 Rock ‘n’ Roll Hall of Famer Shirley Alston Reeves is loved by all who have had the pleasure of meeting and hearing her golden vocals. Raised in Passaic, NJ, Shirley Alston Reeves started The Shirelles and sang lead vocals for the group. The Shirelles were discovered and recorded after performing in an auditorium program. Their very first single release was “I Met Him on A Sunday. The Shirelles soon became known throughout the world when they placed six singles in the Top Ten, and their songs include such hits as “Sha La La” ” Baby, It’s You” “Will You Still Love Me Tomorrow”, (written by Carole King), was featured in the colossal hit movie “Dirty Dancing” with Shirley on lead vocal. “Mama Said” also led by Ms. Reeves was used in a major promotional campaign for Pepto Bismol. Other hits include “Tonight’s The Night” “Baby It’s You”, the soulful sounding “This Is Dedicated To The One I Love”, “Foolish Little Girl”, and, of course, the group’s 5 million selling hit “Soldier Boy”. This particular song touched so many lives and hearts. Her show is designed to please even the toughest musical appetites! So come and enjoy a legend in musical history as Shirley Alston Reeves sings personally for you. The Shirelles, you may remember! Legendary lady Shirley Alston Reeves, you will never forget!